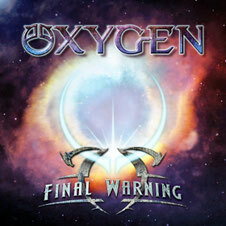 OXYGEN is a high quality Melodic Rock band with an 80’s tinge from Sweden. Tony Niva on vocals in this band has now changed their musical prowess to more of the AOR and Melodic Rock style of direction, and the album “FINAL WARNING” is released on June 22 from Escape Music. What this album is all about is highly infectious melodies and great songs. Oxygen has a knack of turning out great tunes, in the manner of Treat and such other great Swedish bands but they seem to have captured that great American / Canadian vibe of the early eighties, and vocally Tony sounds a little like Lou Nadeau of “Wrabit” so you can be sure they stand out from the crowd!